Time now for Bells on Sunday comes from the Cathedral Church of Christ, the Blessed Virgin Mary and St. Andrew, Rochester in Kent. 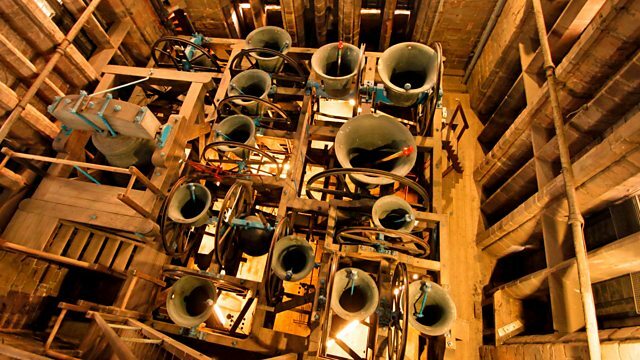 The first bells were probably in the original Saxon cathedral founded by St. Augustine in 604. A.D. After various alterations over the years, the tower was rebuilt for the 1300th anniversary in 1904 to include eight bells. In 1921 the Dean and Chapter commissioned Gillett and Johnston of Croydon to recast the existing eight bells and to add two more to bring the number of bells to ten. We hear them ringing ‘Stedman Caters’.